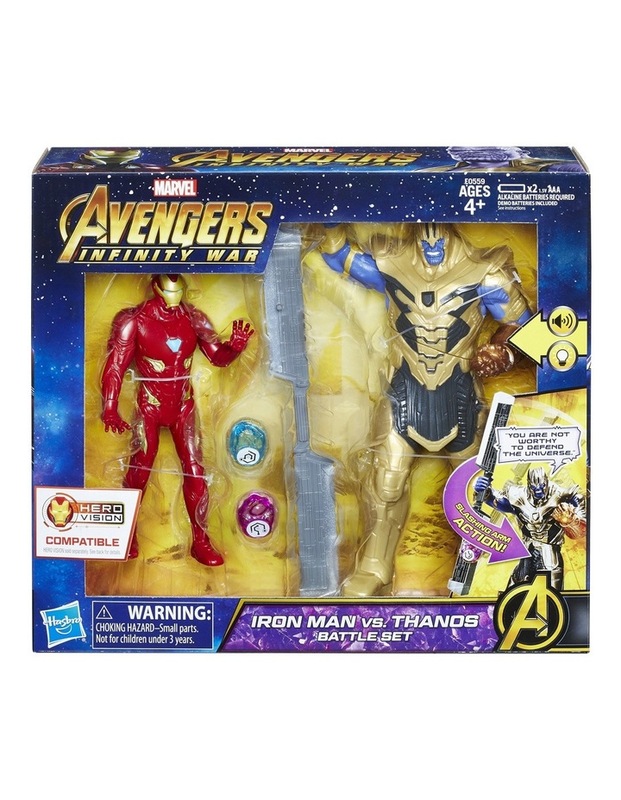 Imagine joining the quest to collect the Infinity Stones with the Iron Man vs. Thanos Battle Set! 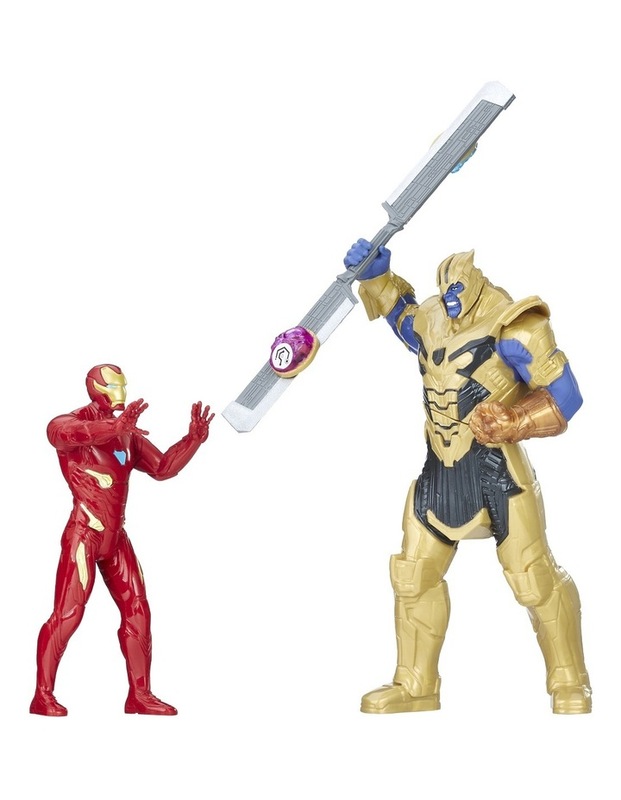 Set up the included Iron Man figure to battle the included Thanos figure, featuring an arm-slashing action, a light-up gauntlet, a battle accessory with 2 Infinity Stones, and movie-inspired sounds and phrases! Collect all Avengers: Infinity War 6-inch-scale figures to collect all of the Infinity Stones!